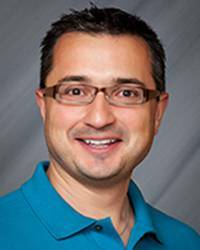 Dr. Vesa received a Bachelor of Arts in Chemistry and Anthropology with honors from Indiana University in Bloomington and earned his medical degree from the Indiana University School of Medicine in Indianapolis. Dr. Vesa completed his emergency medicine residency at the Michigan State University program, working at Spectrum-Health Butterworth Hospital in Grand Rapids, MI. Dr. Vesa is board certified in emergency medicine and is a Fellow of The American College of Emergency Physicians. Dr. Vesa sits on the Department of Emergency Medicine Coronary Care Committee and is a member of the Medical Executive Committee. He is also a member of the Stroke Team and Chest Pain Committee. In 2011, Dr. Vesa graduate from the Scholars Program. In 2012, he received the Master Clinician Award. In 2014, he completed the TeamStepps Master Training Course at Duke University as a hospital initiative to improve patient safety, communications and service excellence. Dr. Vesa is a dedicated husband and father. He sincerely admires his wife for all of her support during his tenure as Medical Director. He is also proud of their two children. His future goals as a father include teaching his children Romanian and German. His interests include long-distance running, travel, oenology, the culinary arts, and has a black belt in Tae Kwon Do. He owns and plays five guitars and had his first cameo performance with "42," a Coldplay tribute band based out of Charlotte, NC.